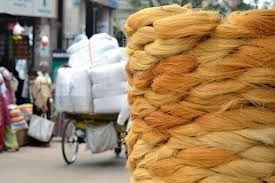 I grew up in a rural Punjabi setting and one of the most fascinating sites that I remember was my grandmother deftly rolling seviyaan (indian vermicelli ) on an inverted ghada (pot) I used to thing she was quick till I entered the google and youtube age and saw that there were Chinese chefs who could make upto 5000 lomian noodles a minute , by hand of course ! Its here that I decided to study a little more of this historically intriguing culinary delight. Heres a plausible story about how “Seviyaan “ became a household name in India . Noodles are now established to be of Chinese origin after much tussle with the Egyptians. The earliest “Fossils “of noodles have been found in china i the banks of the yellow river and they date back 4000years ! Its from the Mongols (mughals) Chinese origins that the noodles came to India and gradually got absorbed in the culture eventually to find a way to the commoners home in form of sevain .